The Imperial Shave has been designing and producing shaving products for more than 11 years as a private label manufacturer for many of the well known shaving brands. We are now offering our quality products direct to the public. We offer high quality products, most of which are produced in our Phoenix, Arizona production facility. Our strops are now recognized as the highest quality strops on the market. Reviews of our strops can be found on many razor enthusiast websites. 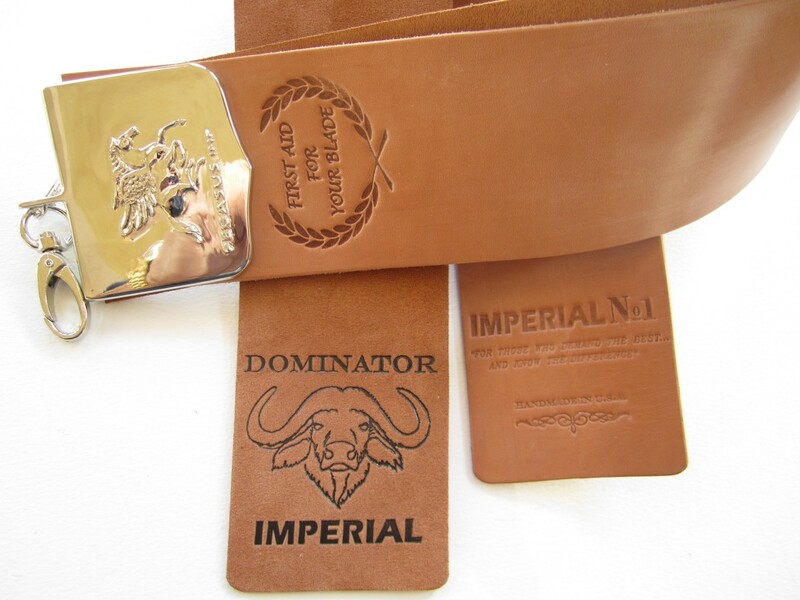 Due to our production of other fine leather products, we can offer the finest horsehide and horse suede in the industry. Not only are our hides of the finest quality, we also offer the LARGEST strops available. The largest being 30 inches long and 3 inches wide. This means you don't have to use any silly "X" patterns to get your blade to the sharpest it can be. Not only are our strops of the highest quality, but they are also the most affordable in the top tier catagory. In addition to offering the best quality shaving products, we also offer straight razor repair, sharpening and honing. We can restore almost any razor to its original luster.